Sign up to hear news about my books, answers to frequently asked questions, writing tips, recs of all kinds...and sometimes even special extra stuff! 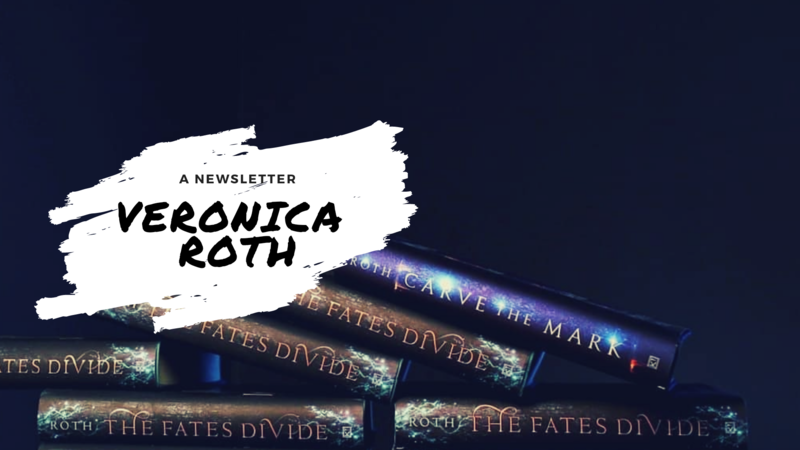 By signing up for the Veronica Roth newsletter, you'll receive news, release and event notices and other promotional material relating to Veronica Roth's books, and be eligible for promotional giveaways when they occur. The only data collected is your name, email and general location for the previously stated purposes of this mailing list. Your data will never be shared. At any time, you can manage your contact preferences or unsubscribe by following the links at the bottom of each email you receive. You can change your mind at any time by clicking the unsubscribe link in the footer of any email you receive from us, or by contacting us at vrothasst@gmail.com. We will treat your information with respect. For more information about our privacy practices please visit our website. By clicking below, you agree that we may process your information in accordance with these terms.